Trastevere is one of Rome’s liveliest neighborhoods. 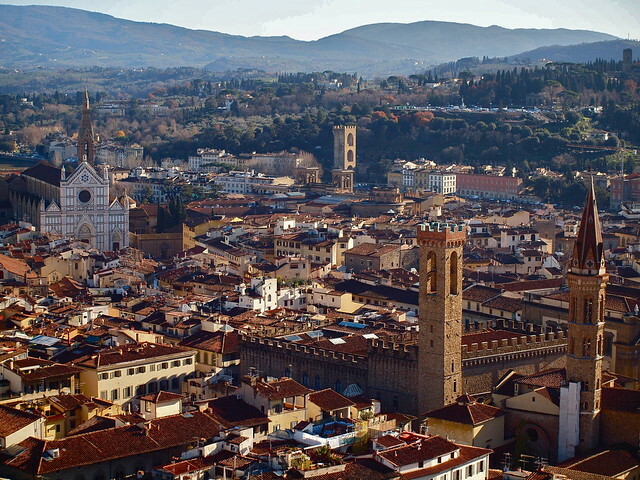 Locals and travelers love to stroll through its narrow and cobbled streets with gelato on the go. At night it becomes a prime spot for entertainment and nightlife. 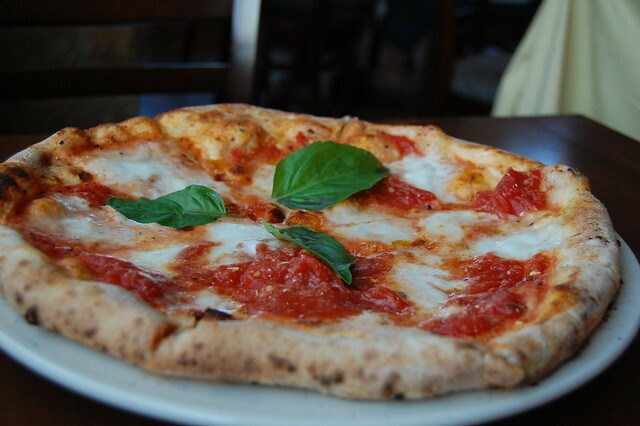 The neighborhood also has great restaurants making it an ideal spot for foodies. And of course, some lovely attractions are based here making Trastevere one of the best stationary options while in Rome. 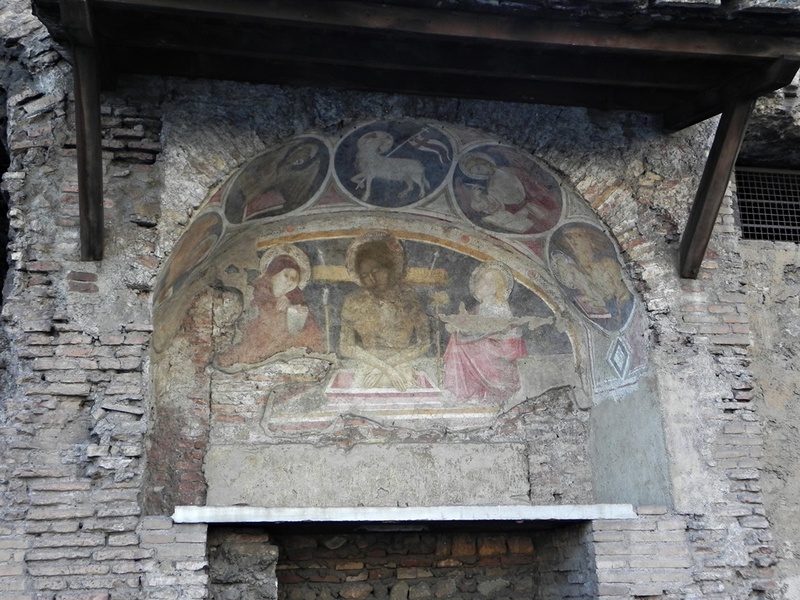 Trastevere is famous for its churches and artwork. But the most memorable experience will be exploring this neighborhood by walk as the atmosphere is amazing. 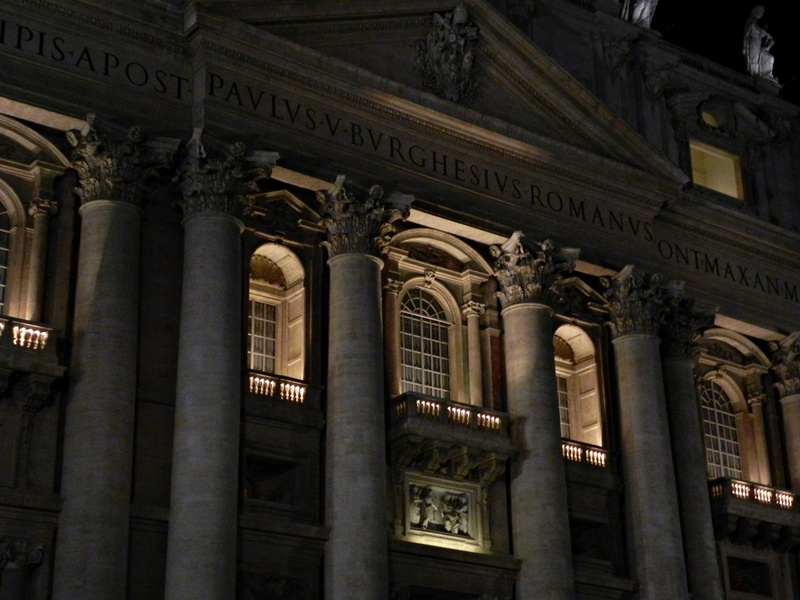 This is the oldest church in Rome dedicated to the Virgin Mary. The legend says that it’s constructed on a place where a fountain of oil sprang from the ground. The church is most famous for its 12th century golden mosaics. 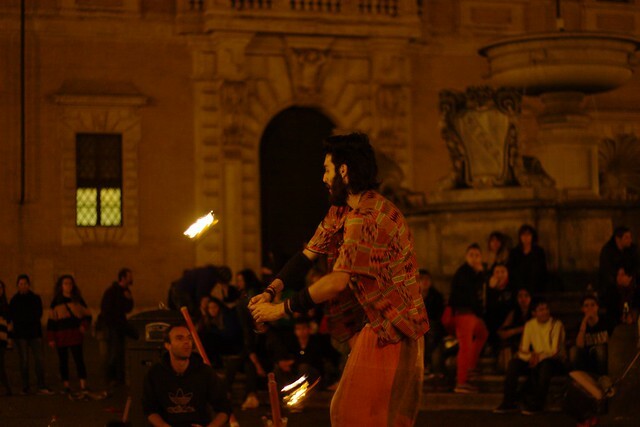 It’s located in the Piazza Santa Maria in Trastevere, the main square of the neighborhood. It’s always full of locals, students and travelers at both day and night. One of the best viewpoints in the city. And the best of all – it’s free of charge. 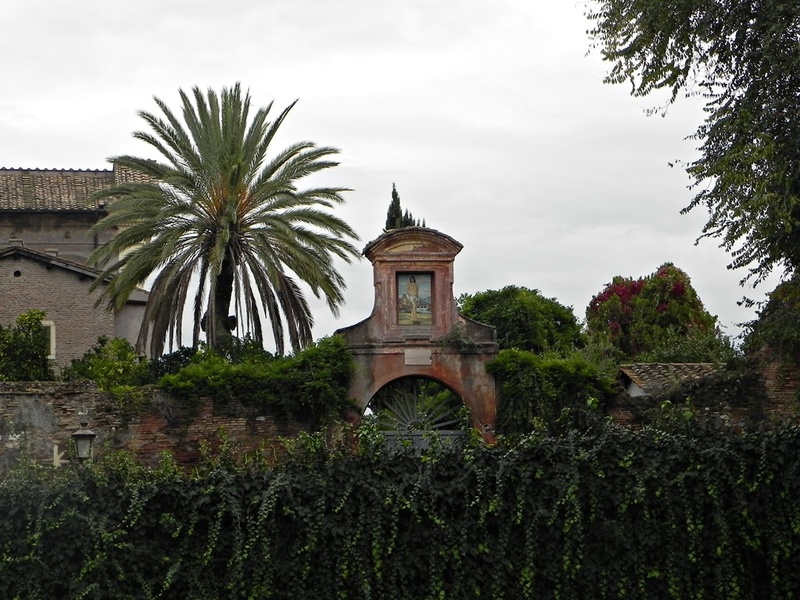 Gianicollo is also a green area with embassies and fine architecture that deserves to be explored. One of its best secrets are the Botanical Gardens. This classic Renaissance villa was built in the 16th century. 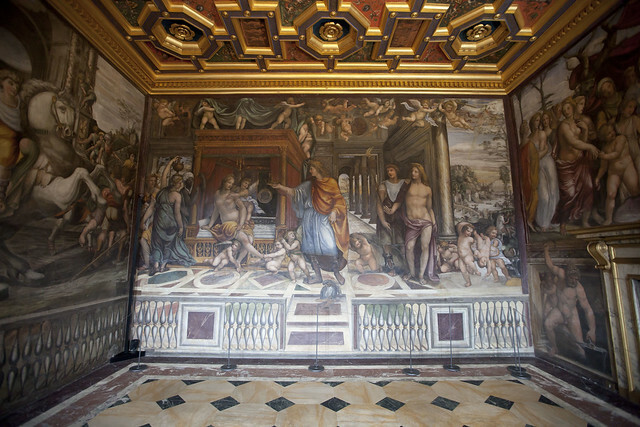 It’s famous for Raphael’s and Sebastiano del Piombo’s frescoes. If you are an art lover it’s worth paying a visit. The entrance fee is 5 EUR. This was one of my favorites places in Rome! Don’t skip it. It’s oasis of peace and beauty and there are hardly any tourists here! 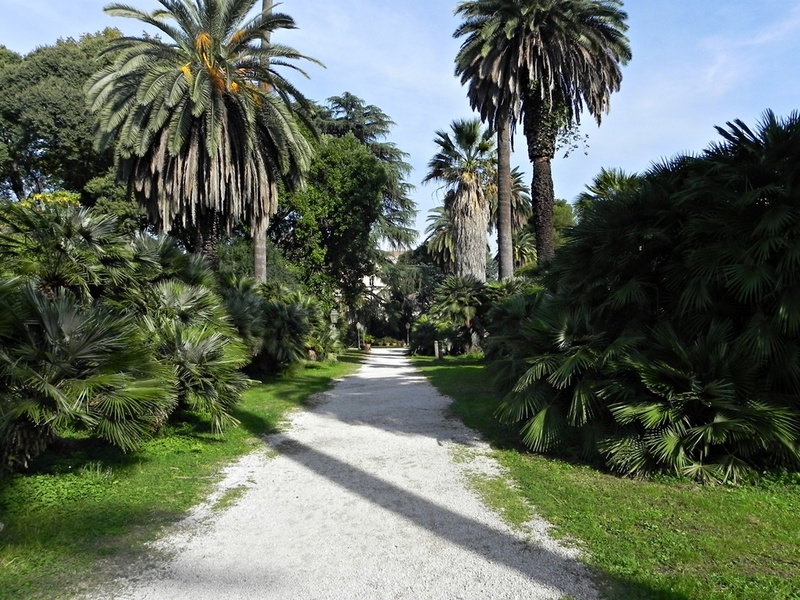 The gardens are located on the slopes of Gianicollo and contain about 8000 species including Japanese gardens and bamboo. 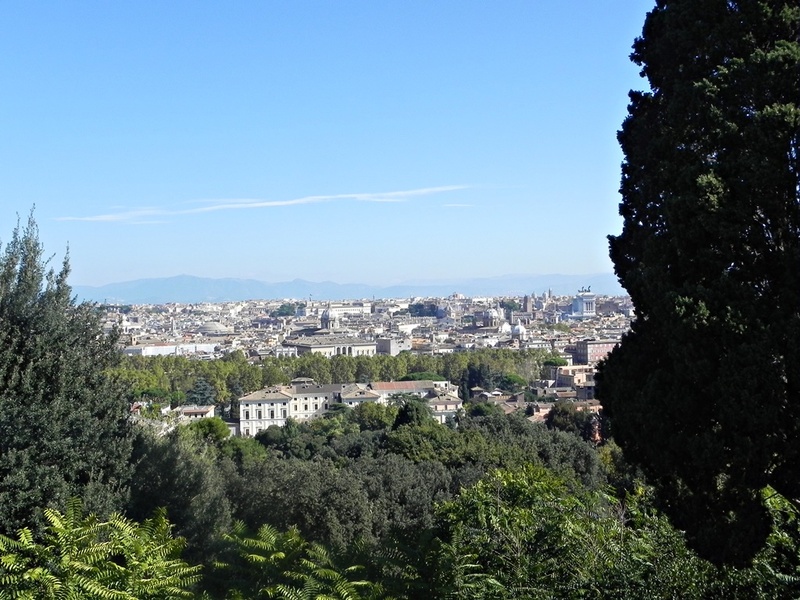 Also a hardly known fact is that the gardens offer beautiful views of Rome. With no tourists around. The entrance is 8 EUR but it’s so worth it! 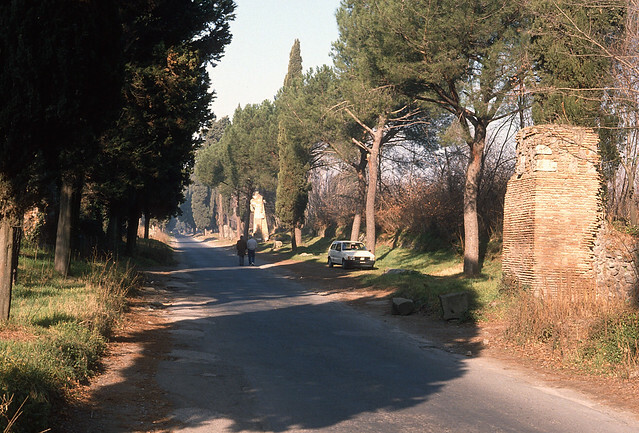 Passeggiata is also known as the early evening stroll and it’s an important part of Roman life. The streets get busy in the night, especially in Trastevere, and the locals like to opt for an ice cream on the go. Besides the atmosphere this is also a way of showing off. People like to get dressed nicely and check each other out. 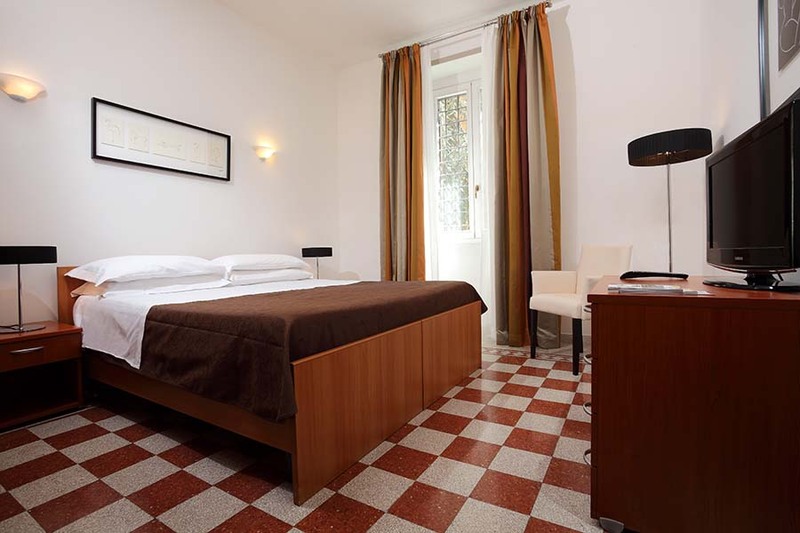 I’ve stayed in a nice studio which was booked through the Flat in Rome. 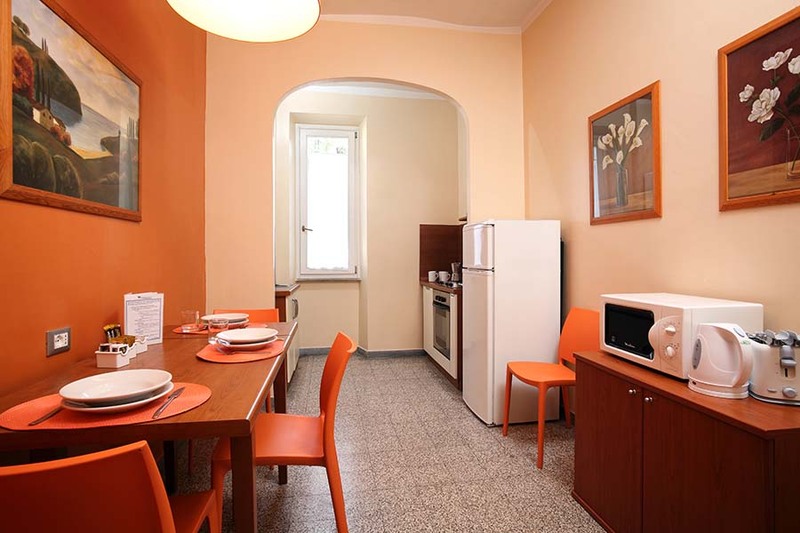 It’s a famous rental accommodation site in Rome that offers apartments with no commission. Of course, they also offer apartments in other city districts but if you plan to station yourself in Trastevere this might be a good choice. The apartment can host 4 people and is ideal for group of friends. The studio has kitchen with oven, microwave, fridge and a bathroom with washing machine. Air condition and WiFi are also free of charge. 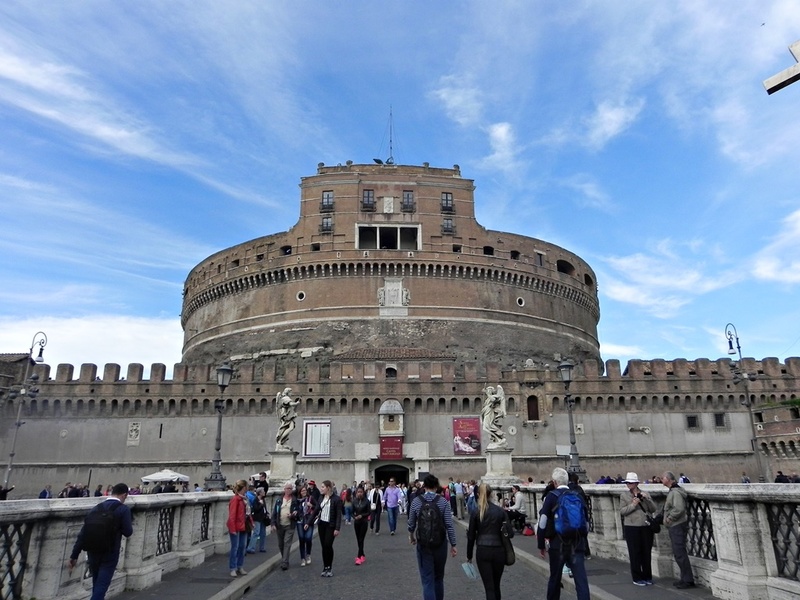 The apartment is located just opposite the Isola Tiberina (the island on the Tiber river) and it’s close to major attractions such as Vatican and the Colosseum. If you love spending your evenings outside, exploring bars and restaurants this is a great area. 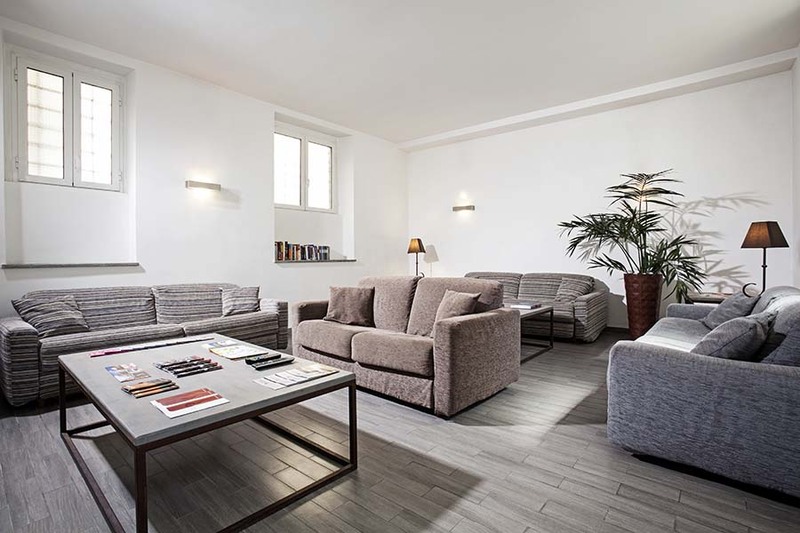 Flat in Rome was also picked as one of the best rental accommodation sites by the Lonely Planet guidebooks. Check out their offical website or their Booking.com profile for more info. Trastevere is foodie heaven. The neighborhood has so many restaurants, trattorias and cafes. Many restaurants offer promotions so it’s ideal for those on a budget. For example, for just 10 EUR you could get a starter, main course, second course, dessert and a drink. Trastevere is city’s most popular area to drink and party so it might not be for everyone’s taste. It can also get bit loud during the night, depending on the area where you stay. But, if you are a foodie type and you love discovering bars it’s a great stationary area while in Rome. 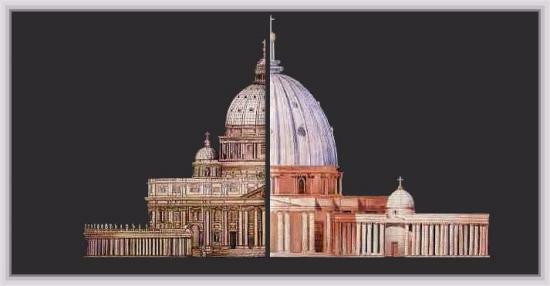 Don’t forget to check the travel guide to the Vatican City and the travel guide to the Ancient Rome neighborhood too. What is your favorite neighborhood in Rome? 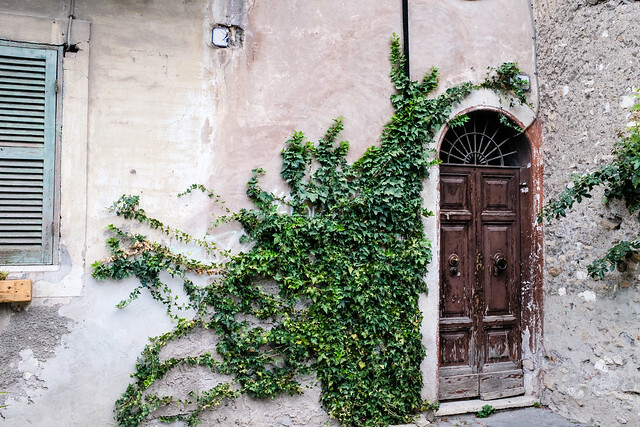 Do you have any specific tips to share about Trastevere? Feel free to comment below. 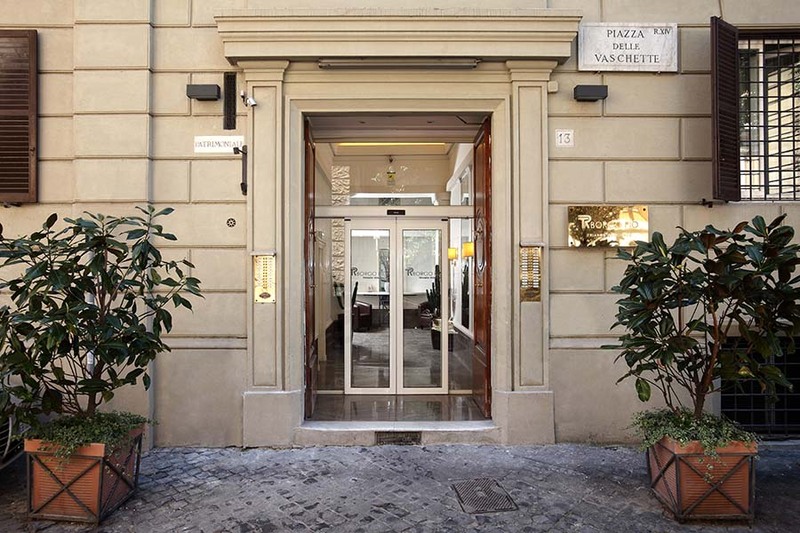 The Ancient Rome neighborhood is one of the best places to stay while in the Italian capital. 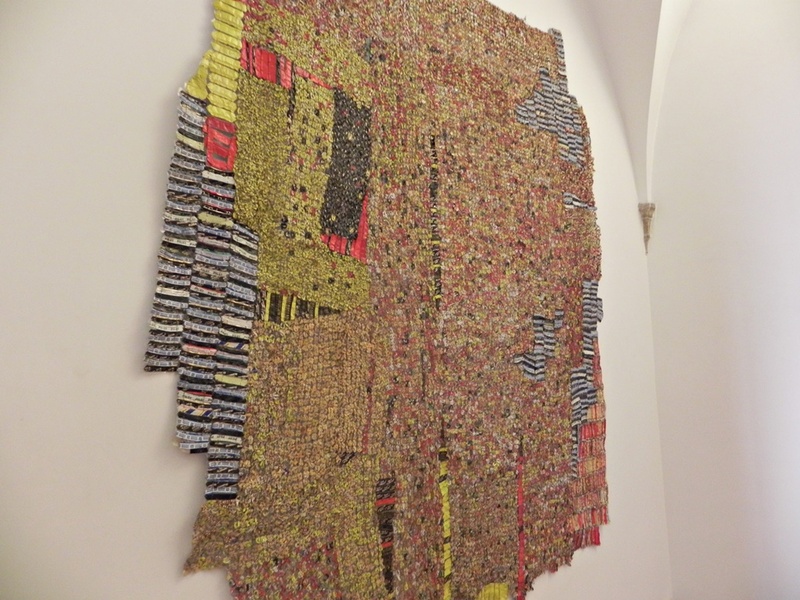 The other two are Vatican and its vicinity and Trastevere – currently the most hip place in Rome. Separate guides on these two areas will be published soon as well. The Ancient Rome area is filled by tourists during the day but quiet during the night which makes it ideal for discovering eating and drinking options. And of course, this is the area where everything started – where by legend, Romulus killed Remus and founded the new city called Rome. Some of the best attractions are located here so if you are coming to Rome for a city break it’s a wise choice to choose this area. That’s because all the attractions are within walking distance from each other. Colosseum, The Roman Forum, Palatino, Piazza Venezia are all located here. 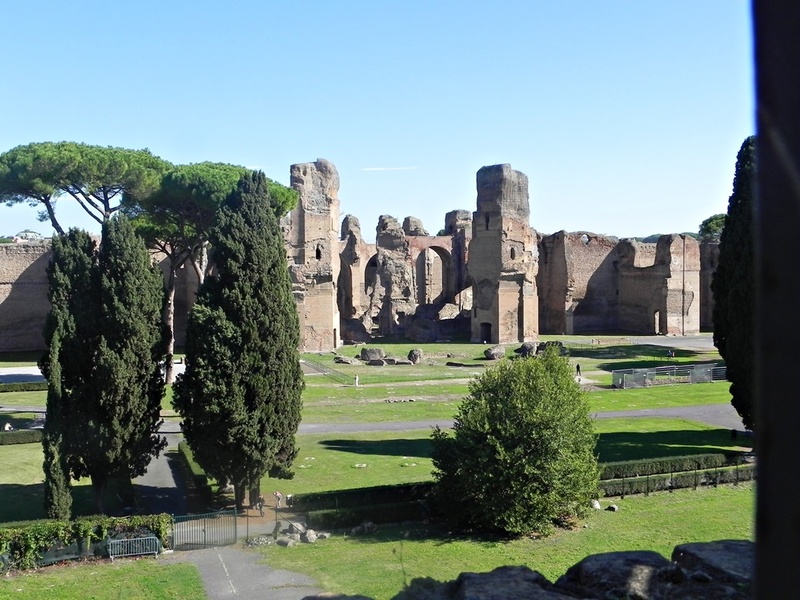 To explore the area start from the Colosseum as from here you can easily go to Roman Forum and the Palatino. The best times to visit these attractions are in the morning (around 9am) or late afternoon. The crowds are the worst from 11am to 2pm. 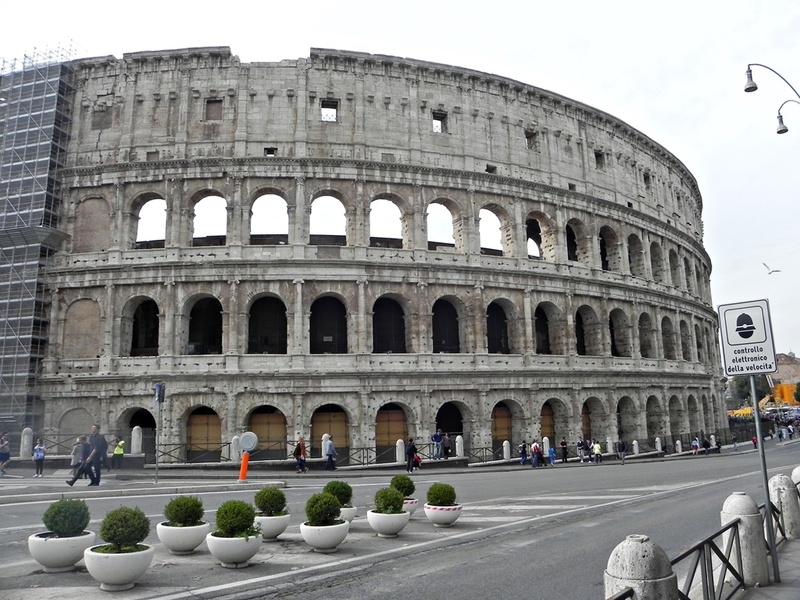 The most popular Ancient sight of Rome and maybe the whole world, Colosseum amazes with its size and history. When the Colosseum was completed in 80 AD, Titus who was Vespasian’s successor decided to mark this event by staging games that would last 100 days and nights. It’s here where the gladiators fought off wild beasts and where more than 5000 animals were slaughtered. Tip #1 : If you are coming as an individual visitor either buy an audio guide or come with your own. 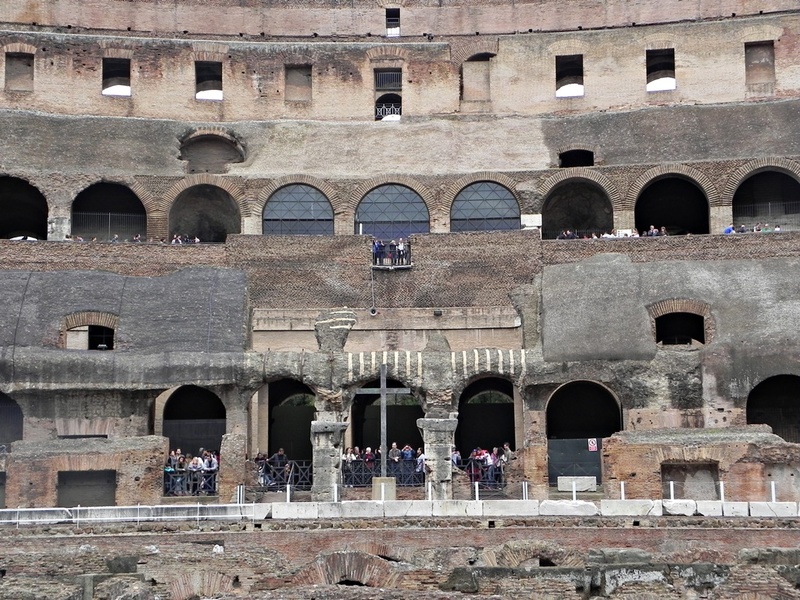 There’s not enough text inside the Colosseum for individual visitors so you may feel a bit lost. Definitely invest in a guide. 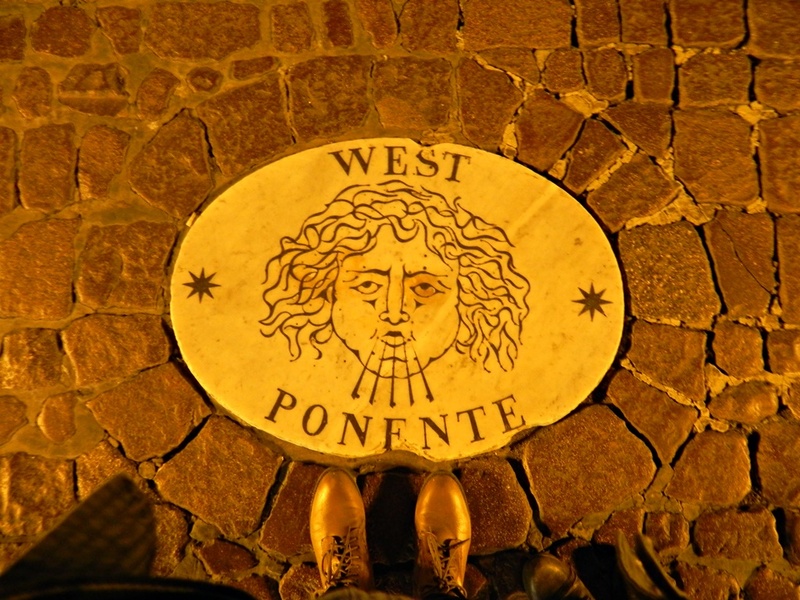 I used Lonely Planet’s Rome guide. I love their guides and I use them often on my travels. You can also buy various guides at the Colosseum and Roman Forum bookshops. Tip #2: You can buy the ticket for Colosseum online which I recommend so you can skip the waiting lines. 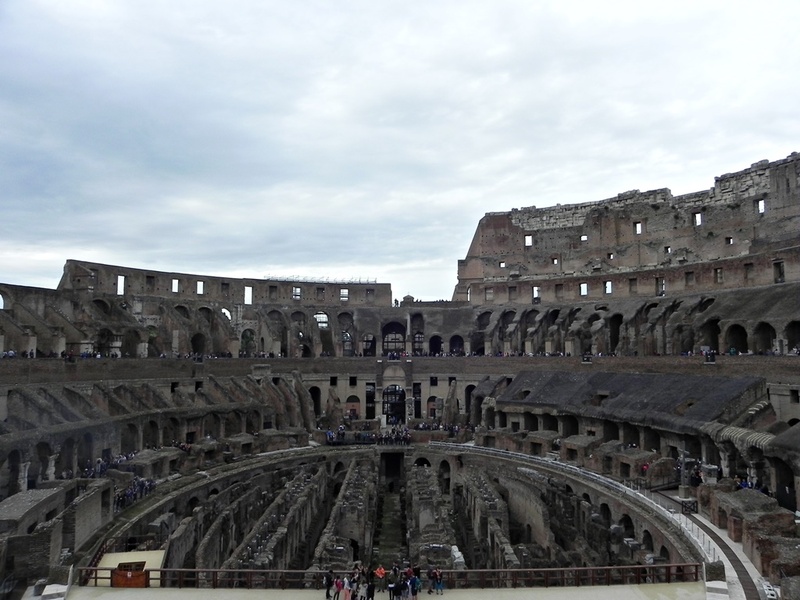 For 12 EUR you can buy the combined ticket for Colosseum, Roman Forum and Palatine. The reservation fee for online purchase is just 2 EUR. If you are between 18 and 25 years old and you come from an EU country you can get a reduced ticket which costs 7.50 EUR. 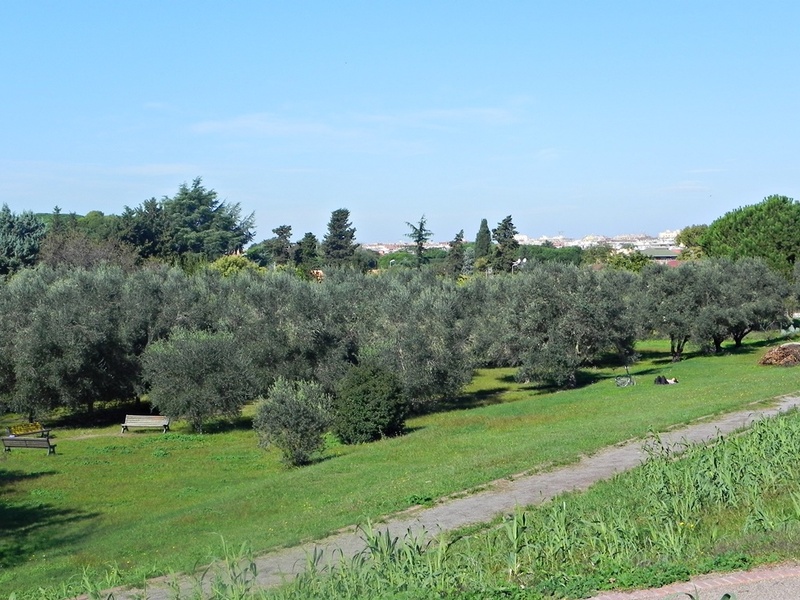 One of Rome’s seven hills, Palatino is a place where Romulus founded Rome in 753 BC. 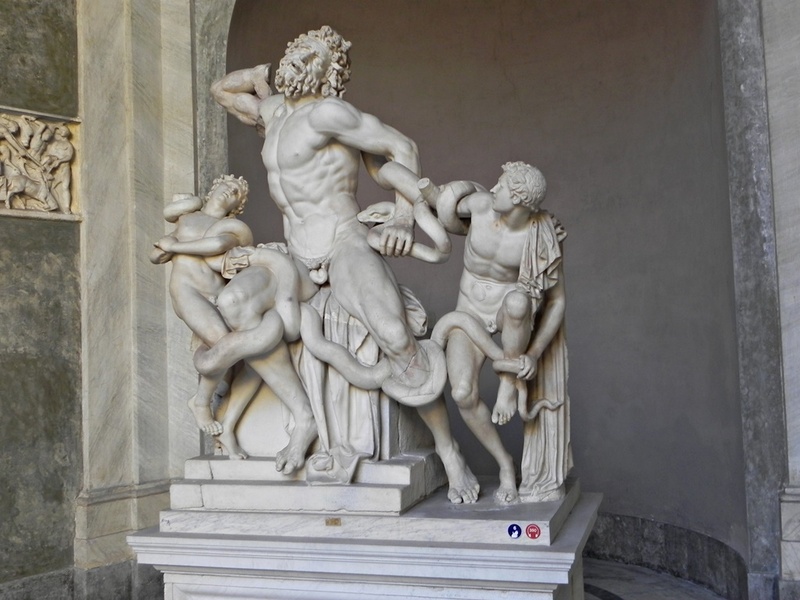 Visit the Museo Palatino while you are here. It showcases a collection of finds from this area. Buy the ticket online. 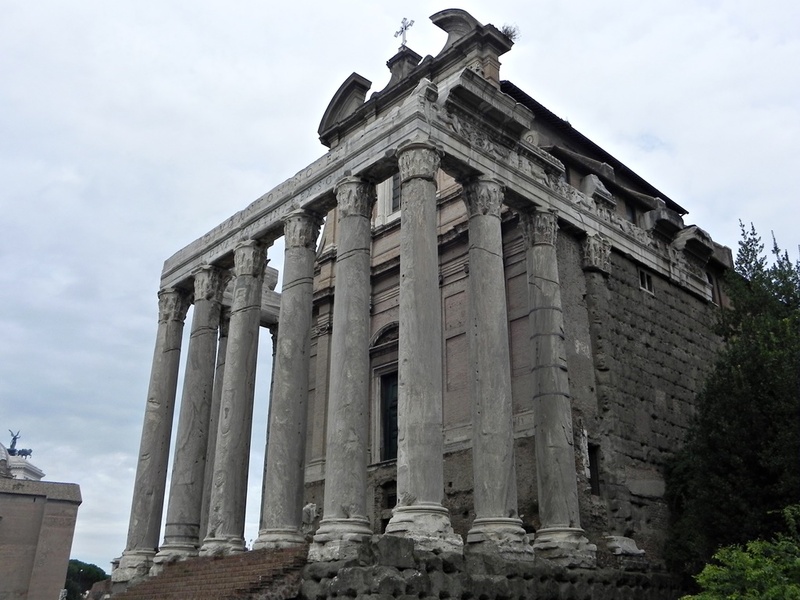 Nowadays Roman Forum is a place of impressive ruins- basilicas, temples, public spaces etc. It’s here where you will feel like you’re back in a far faaar history. In the past everything was happening here. It was the location of Senate, religious complexes and market places. 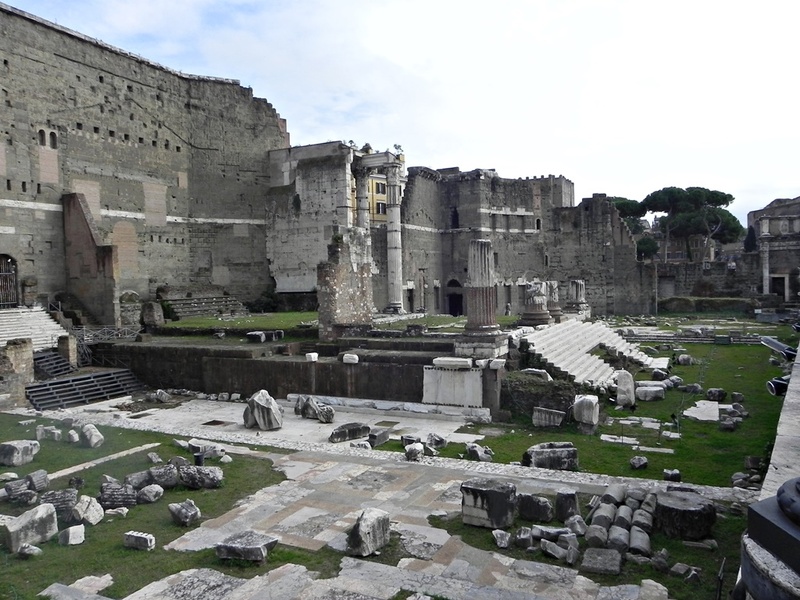 Tip #1 – Roman Forum is another badly labeled place unfortunately. What I’ve said for Colosseum also applies here. Get a guide. 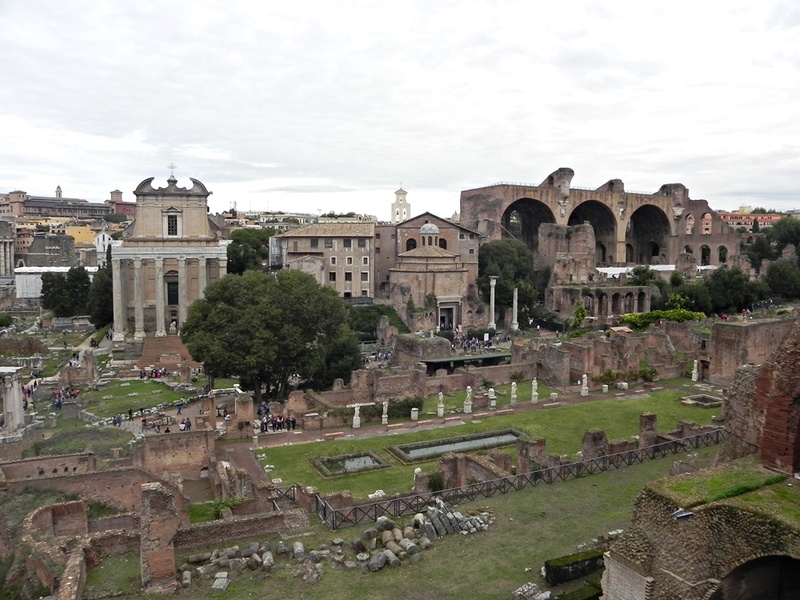 Tip #2 – The best views of the Roman Forum are from Palatino hill. These are ones of the world’s oldest national museums. Their focus is on ancient sculpture but there’s also a picture gallery with some wonderful works of Italian artists. 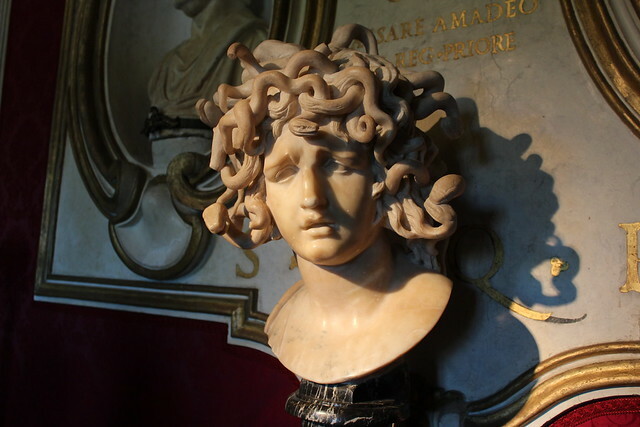 Capitoline Wolf and Bernini’s Medusa are the most famous works. This massive white marble monument can be seen almost from any point in the city. Yet, locals don’t like it because it doesn’t fit nicely with the environment. Indeed, the building looks like an interloper compared to the other buildings that surround it. 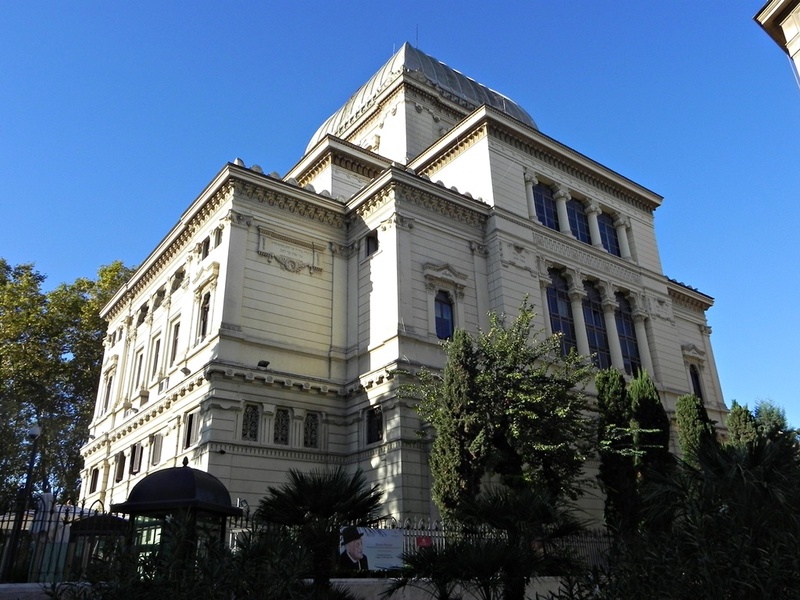 It hosts the Tomb of the Unknown Soldier and inside there’s a free museum documenting Italian unification called Museo Centrale del Risorgiment. Outside the building there’s a lift that can take you to the top of the monument for Rome’s 360-degree views. Ticket costs 7 EUR. The queue is long so I wasn’t bothered to wait as there are also other great viewing points like Gianicolo Hill (free). 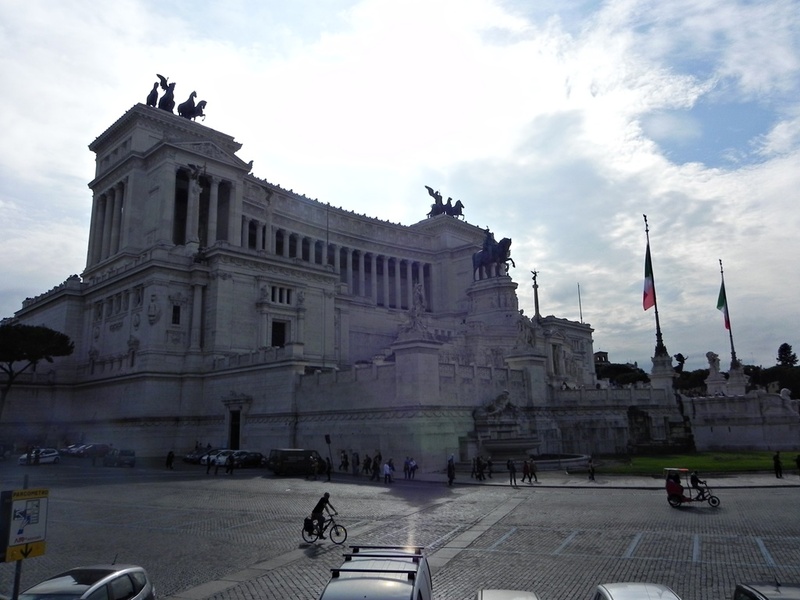 Tip #1 – Just next to the Aracoeli staircase (at the Piazza Venezia) are the ruins of the Roman insula (apartment block). They can be easy to miss but these ruins are very interesting as they provide an insight into the conditions in which the Romans lived. 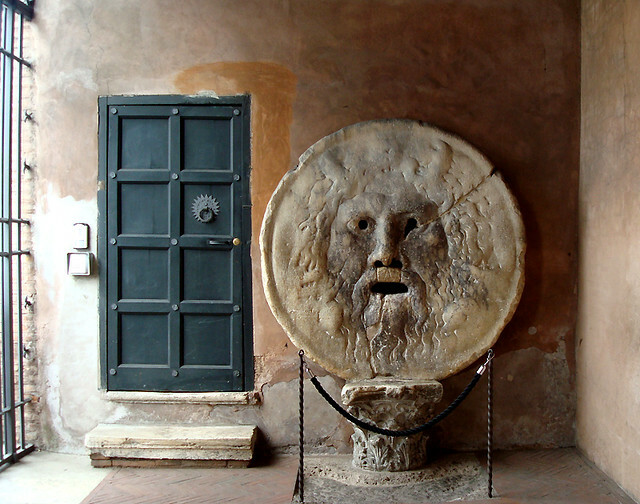 If you’ve watched a movie called Roman Holiday with Audrey Hepburn you might remember a scene in front of Bocca della Verita (Mouth of Truth). Legend says that if you put your hand in the carved mouth and say a lie, that it will bite your hand off. Bocca della Verita is located in one of Rome’s most beautiful medieval churches called Chiesa di Santa Maria in Cosmedin. 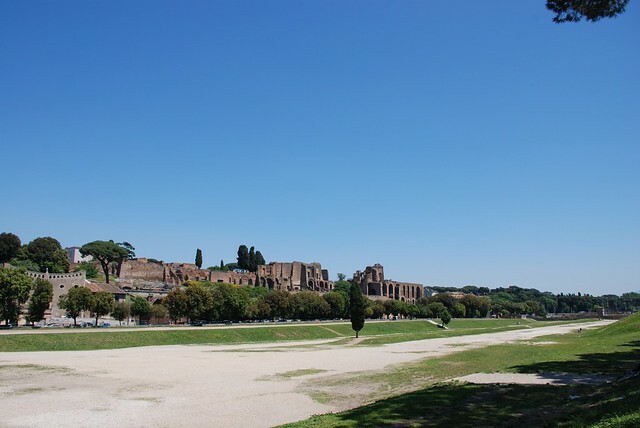 A place where chariot races were held Circo Massimo used to be the largest stadium in Ancient Rome that could host 250,000 people. Nowadays is a popular space for joggers. 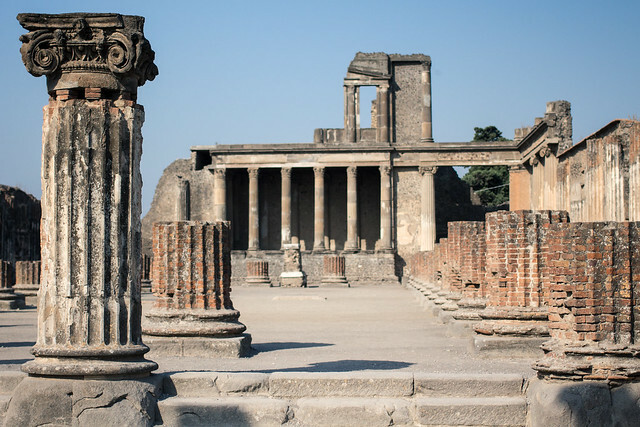 Imperial Forums were constructed between 42 BC and AD 112 and they represent a series of public squares that were the center of the Roman Empire. Don’t miss the Trajan’s Column which depicts the victory over the Dacians. Marco Aurelio 49 Apartments is one of the best places I’ve stayed in Europe, mainly because of its modern design. I like when a place pays special attention to this. They were also extremely organized and well stocked so I doubt you’ll find anything missing here. Kitchen is equipped with trendy appliances so you can enjoy preparing your meals after long sightseeing and the bedrooms are spacious and modern. 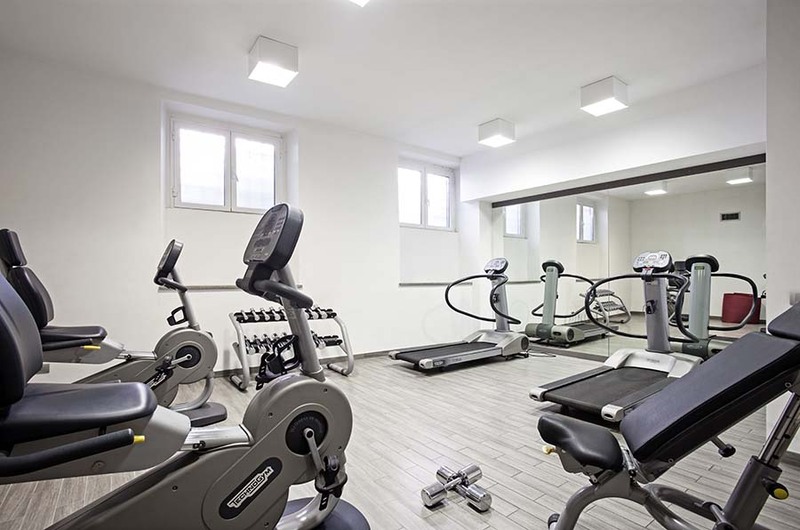 Location is superb, just five minutes from the Colosseum and even though this area is full of tourists during the day, the apartment is still located in a quiet residential area. I’ve stayed in Hiroshige suite that also has a balcony with a lovely view of Rome. This suite can host up to 4 people so it’s ideal for families or group of friends. Facility also provides free wifi which is extremely important for me, iPad (yes! ), nespress machine (George Clooney’s edition) with coffee pods etc. In short – they paid so much attention to the details which I loved. The people at the front desk and the cleaners were also extremely helpful. It’s also one of the rare places that really looks exactly like it’s shown on the photos. Overall, it’s one of the nicest places I’ve stayed in Europe in terms of decor and hospitality and I genuinely recommend Marco Aurelio. You can check their official website here or their Booking.com profile. This area gets really quiet during the night and restaurants tend to be touristy and overpriced so I recommend self-catering. 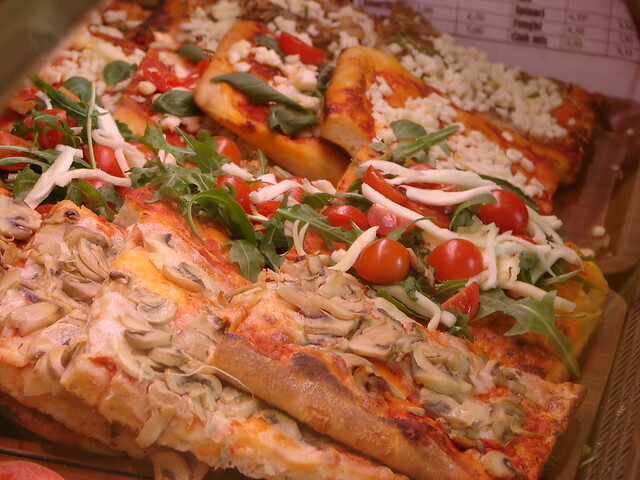 There’s a Carrefour supermarket close to the Colosseum where you can also get quick grabs like pizza or sandwiches. 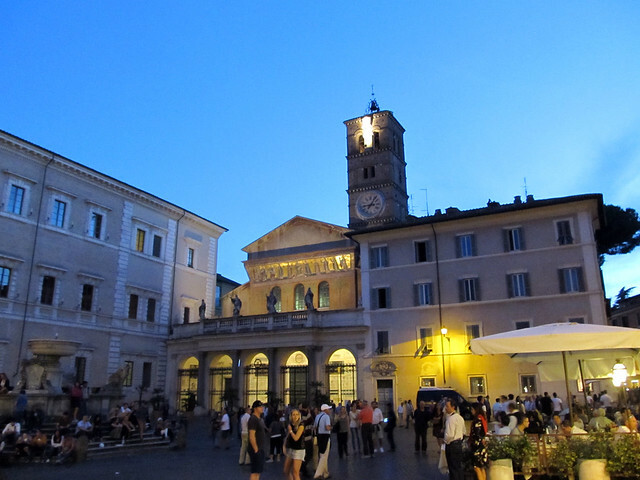 There’s nothing specially interesting here in terms of nightlife so if you are into bar hopping go to Trastevere. No visit to Rome is complete without eating ice cream and a great place to try it in this neighborhood is at Olive Dolci. It’s a vegan ice cream shop with a few tables and chairs inside so you can also have a seat. Olive Dolci offers many interesting flavors. I tried the pomegranate and baobab but if you are not in the mood for weird or new flavors you can always opt for the classy ones such as hazelnut or chocolate. They even have olive oil, figs, licorice and others. Don’t miss it! This area is home to ‘The Gay Street’ which is designed as an LGBT friendly neighborhood. It’s located just next to the Colosseum and is filled with bars, restaurants and accommodation options. The street even has its official website that you can visit here. It’s probably the best to sit outside as the atmosphere inside the bars looks too clubby and you can watch the Colosseum in all its glory. Rome only has two metro lines so using it is not the best option as it doesn’t go through the city center. However the line B has a stop at the Colosseum and there are many buses that stop at Piazza Venezia so this is your best bet for moving around. Again, everything’s within walking distance but if you are going a bit further definitely take a bus. 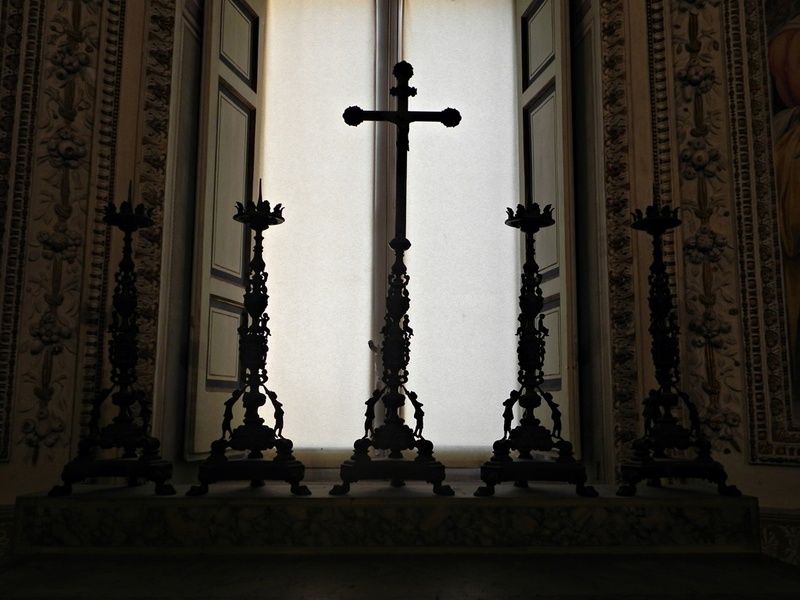 Don’t forget to check out EuroTribe’s travel guide to the Vatican City and the travel guide to Trastevere area. Do you have any specific recommendations or tips for this area? Feel free to comment below.